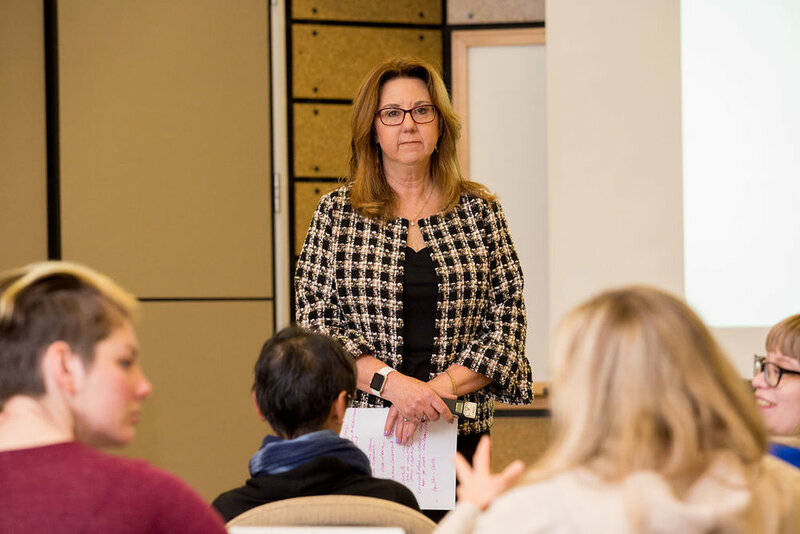 "As an employee in the nonprofit world, it was a great reminder of real-life success from the others who gathered, and a learning opportunity to spend time with women leaders from the for-profit and entrepreneurial circles. It was exciting and fun." - Carol P.
Each event is a Victory Circle. For eleven years we have facilitated the power of “Victory Circles” in the form of Master Mind groups transforming 100’s and 100's of businesses in the process. Many questions and uncertainty around today’s online marketing have lead to the workshops or “Circles” that Cheri now facilitates in person and online via webinars. The conversations incorporated in these Circles include the core elements of what it takes to share your message with the world today. These components include Email Marketing, Social Media Essentials, Website Development and the key that ignites it all... Content. Want Cheri to speak at your upcoming event? "Thank you for organizing a great workshop on 'Leveraging the Power of Instagram' by Victorygirl - Cheri Ruskus. She is amazingly communicative and inspiring. I loved the 5 C's and I am working on it." "Cheri is an outstanding speaker! The East Colorado SBDC has worked with Cheri frequently over the past year and a half. She has lead live and webinar presentation on: Content Development, Growing and Managing Your Email List, Using Social Media to Grow Your Business, and much more. Working with Cheri and Victory Circles has been truly rewarding!" "Excellent overview of social platforms." "Inspired me to do more." "Good up-to-date information and statistics." "A great review that gave me encouragement to continue with new fresh ideas." "I was truly impressed with your workshop. You organized it well, the room looked inviting, and your technology set up was flawless. I really enjoyed how clear and Cha Cha Cha your Power Point was! Most important, you wrapped social media into marketing, connecting both topics with depth--while making the class fun." "So authentic with real life examples!" "An interactive presentation that was relevant to everyone." "A new understanding of ROI with marketing." "Thanks very much for the excellent and very comprehensive workshop." "Cheri’s knowledge on this topic created a new awareness that I was previously lacking."